have any step by step instructions been made for this project yet? i would really like to build this. Has anyone who has done this incorporated more then just the retropi and installed some bmo animations? Does anybody have a copy of the img they could share without the roms. Were having trouble getting this programmed and would love the help! Great build and Great tutorial btw! Very thorough! Is this all in PLA ? Not sure if I've got a bad screen or some screwed up wiring, but when the screen is on, It appears like it is really washed out and shaking up and down quickly. Like 2 or 3 pixels or so. Has anyone ever gotten a bad screen? It was definitely a bad screen. Replacement screen was perfect. Project done! Any idea what plug was used that is soldered to the Pi to replace the usb plug that goes to teensy ? Case is printed most parts have arived so time to get dirty. Yes thats what I thought. I ended up ordering thses as I needed the pins anyways. They look the same size as the images in the build log. 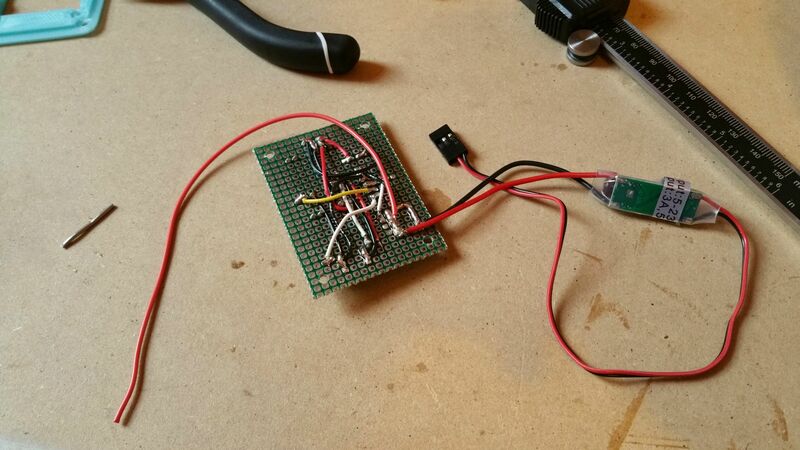 The Teensy uses a modified USB cable to attach to the Rpi. The cable attaches to a header I soldered directly to the Rpi itself. Check the construction album linked under the 'Thing Details' towards the end of the album. There are quite a few pics showing the attachment of the header to the Pi as well as the construction and installation of the cable. That switch on top is the biggest switch I've ever seen. Hey! quick question, since retropie supports other systems aside from the NES, can this be made into an emulator of those systems instead (such as a GBA or a SNES)? Or are the buttons mapped to a NES controller? Your best bet on this is to follow the controller set up tutorial from the Retropie website. however, I can say from experience that by setting up the default controller it will work for all emulators. However, the button mapping may be slightly off for some consoles. The default controller setup mirrors the SNES controller almost 1:1 and works seamlessly with almost all Nintendo consoles as well as the ports (DOOM, Cave Story, Quake, etc.). When it comes to Sega consoles and well as the older or more off beat consoles you may need to set up controller maps form them individually. The controller set up tutorial from Retropie 'should' explain this but let me know if you have trouble. I'll help if I can but I've never set up custom controller maps myself. Yes, but I think he's saying like this has 4 buttons. Could you add two to three back for shoulder buttons? I'm trying to print the shell and I'm having issues with how it's filled. Can you please show me your slicer settings? Anything you did in particular to get the shell printed? Do you have "Detect Thin Walls" checked? Before we start discussing setting which G-code generator are you using. Personally I prefer/user Sli3er. I find that result tend to vary wildly from program to program. I use Slic3r as well =) Thanks! The tactile switches you use for your push buttons.... Are they "clicky"? I'm starting this project but I know a lot of the buttons I see provide too much feedback and I'm looking for "softer" buttons.... Thoughts? [email protected] is my email address... I'm Danny. Hello. Are you in Portland? I live here. I'm going to be building something like this soon. I've never done anything like this before. If you're willing to help me, I'd gladly pay you. What do you say? Id really like to build something with a raspberry pi b 2 and I need as many buttons as an snes controller or possibly an analogue. When soldering the buttons, do you need a custom pcb, or teensy or something or can you just solder a USB controller to the USB pins on the pi? I was thinking of using plans for one with for the raspberry pi a + and cutting off some stuff like one of the double USB ports, the ethernet port and the headphone jack to make it fit. Would that work? I've just sent you a private message. No, I'm not gonna charge you for help... That's just silly. If you need things printed, I'll charge you for materials only. The buttons listed in the bill of material actually have a soft feel to them. I looked all over before finally finding them. They have a great feel but after finished the design I came to the conclusion that they are a little TOO soft. The real issue is that they only compress roughly a 1mm when pressed so you can barely tell you are pressing them. Because of this I went back to 'clicky' buttons for my latest design. What kind of screws did you use exactly? I just love this project. I'm about to build one for my wife's birthday. I got everything I need (or almost). It seems that I order a wrong version of the ATmega32u4. Mine is the Pro Micro version, which has a different pinout. Do you think I can use this version for the controller board? Any help? By the way, thanks for sharing this awesome project. I have checked both boards pinout (the "teensy 2.0" and the "Pro micro") and the only pin missing for the "Pro micro" is the PB7 which correspond with the PCINT7 input on the ATmega chip. I guess I can use other input like the PCINT4 which is available on my board. Should I make any change on the program to make this work? I will appreciate any help! I "finished" my enlarged PI-2 capable case inspired by this model. Most of the electronics is identical to this model, but not all are, and there are much fewer (as in no ;) ) instructions. im planning on making one because they look hella sick. i was wondering how much money you needed to build this and if you had any tips for people who want to make one.keep in mind,im a beginner when it comes to making big electronic projects like this so i barely have the basics understood,and are you ever going to make a video tutorial on making the beemo?and lastly,can it play 2 player games? Re the parts list - I think you want a dual potentiometer for the volume control since it's stereo. Also, you'll want an audio taper one, not a linear taper one. Also, I'm working on a version of this that fits the Pi 2. It'll be slightly larger, but uses mostly the same components. Will post it when it's done. To address the first point I have the potentiometer inputs for both amps bussed together to one slide pot. I'm not an electronics expert so I'm not sure if that will work properly. You are definitely right about the audio taper potentiometer. The linear pot I have in my build maxes out the volume after like 1/4" of slide. It 'sorta' works but not very well. I can't wait to see how your build come out. Keep me posted if you can..
After reviewing the schematics of the amp breakout boards, I see how it will work, but the left and right channels will be crossconnected, so you would lose stereo output. My Pi 2 version is about 20% larger overall to fit the larger board. I'm not doing all of the nice internal brackets for parts that you have in this version--there will some hot glue involved in final assembly to hold things in place. I'm sort of designing 3d parts as I go, from front to back. Just finishing up the front panel and buttons now. Thanks for the inspiration, teensy code, and extensive photo docs! Hey all I started this project about a month ago. Really solw and still really new to all this but im installing the three wire connection to the tft screen but mine looks completely different. the electronics are half the size of the board shown in build pics and also the three button I guess lets call them the toggle feature fun is a two wire connected separate board. I guess my question really is how do I know which connections to use for the three wires. also this was the direct link from BOM. Anyone else run into this? Could use some help. Its looks like your build is coming along very well! Honestly I'm not surprised the board you got on your display is different than mine. My best bet is that these kinds of products probably go through design changes all the time (or they are just using the cheapest driver board available). I'm actually a little jealous because the board on my was huge and difficult to design around. When I originally bought the display I as expecting to get a driver board about the size of the one in your picture. Ok now to business. Despite the different size your board should have the same connections mine did; power (red), ground (black), composite (white/yellow) and potentially composite 2 (white yellow). I don't see any wires in your picture so I'm assuming you removed them. Where they on the 4 through holes on the left side of the board or the connector J2? Also how many where there and what color were they? And I guess another question is do I need this part? Ok good that's exactly what I expected. The red wire is voltage, the black ground, and the white is for the composite signal. This should match up to the schematic I provided for the routing board. Its just that your wires are on the opposite side of the board. The small pcb with the buttons is optional but not necessary. It controls the brightness/contrast. You could leave it around and plug it in whenever you feel the need to adjust the screen. The example picture you provided shows a yellow wire as well. This is for a second composite signal. It is not necessary for the project to function (you only need the white composite line) and if your screen came without one then don't worry about it. Can you post the config file for the Teensy. I can't seem to get any buttons to work except for the ABXY. Hey sorry about the delay. My arduino code for the Teensy should be in the thing files section under 'RaspBMO_Buttons.ino' or something similar. Sorry for bothering you again.but, I really can't figure out how to make it work on mame . teensy-joypad is working on emulationstation UI very good. but, In the mame game, just A, B buttons are work. can you help me out to figure out this? Hey sorry about the delay. That is exactly what I was going to say. Also THIS video is really helpful with the MAME setup. Its what I used for my own unit. One question, can you play Lincoln Fight on it, and is there software to make it have an animated BMO face. Also what is with all the deleted comments? Ok first things first. Assuming your working on Windows have you plugged the controller into your PC, gone to 'Control Panel' and then 'Devices and Printers'. The Teensy should show up there as a USB controller. You can right click on it and go to Controller Properties, from there if you select the 'Test' tab you should be able to see the button readouts. This is an excellent way to determine if the controller is working properly. If you have already tried this and the issue is that the controller isn't working with Retropie then you most likely need to configure the controller (the Teensy controller will not be recognized/wok until you do this). The best instructions for this can be found in THIS video. Let me know how this works out. Good luck. could you provide a teensy HEX file?. my teensy is not working properly. Sorry about the delay. Look for a .ino file in the 'Thing Files' section. It is the Arduino code I used to set up the Teensy. If you have any other questions let me know. I think this is really cool. I really want to get a Raspberry Pi, and when I do, I might have made this, so I can just hook it up. Ridiculously cool job man. I am ordering my stuff now however I do not see the screen in the Bill of materials. Can you link to Amazon for the screen? Again, so cool. My kid is gonna flip over this. Thanks! I'm glad you liked it. Also its awesome to hear that you want to build one! Can't wait to see how it turns out. If you have any in process pictures I'd love to see them. As for the display, look for line 11 in the bill of material, it should say '3.5 Inch TFT LCD Monitor for Car / Automobile' and take you to the following amazon link (http://www.amazon.com/gp/product/B0045IIZKU/ref=oh_aui_detailpage_o08_s00?ie=UTF8&psc=1). Let me know if you have any trouble. Good luck! Hey so I'm wiring up the routing board (thanks for the schematic btw, it is super helpful in combination with the build album) and I just had a question about the speaker wiring. I see that the speakers are wired to the routing board but in your album it's kind of confusing how you actually connected them up. I gather you recommend doing this after putting the bits and pieces in the enclosure, but was wondering if you could elaborate on this a little? Which parts would you recommend connecting to the routing board before mounting into the enclosure and which should I do after? Ok I just looked through my pics to try and remember what I did. I think this picture (http://i.imgur.com/WHPAllk.jpg) is the best break down. Just prior to mounting the board should be wiring with all the internal connections shown in the schematic. As for the UBEC you need to wire its entry points to the 7.4V buss lines (bottom right in linked picture). 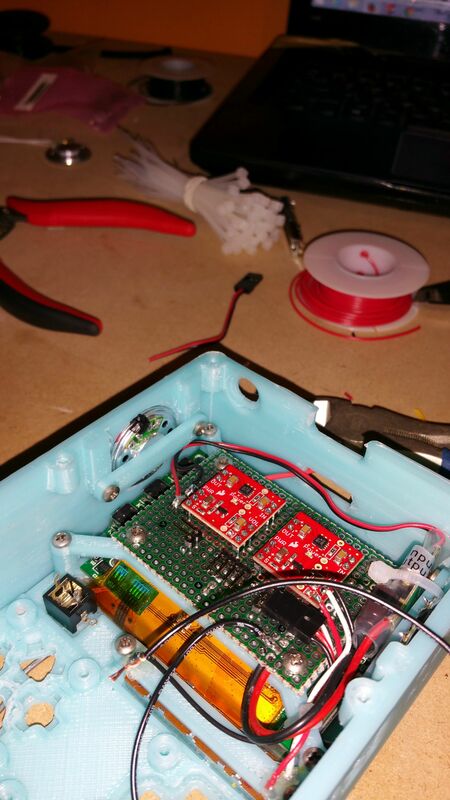 The UBEC 5V output lines are left un-wired until after the routing board is installed. This picture (http://i.imgur.com/LnGbPhX.jpg) shows where to wire the 5V output of the UBEC once the routing board is installed (left side of the board). You should also wire one red wire to the high side of the 7.4V buss line. This wire will connect to one of the throws the SPDT switch atop the case so that when the switch is flipped the positive terminal of the battery will connect to the routing board. There also needs to be a ground line run from the battery to the 7.4V buss on the routing board. In my build I did this on the top side of the board so it can be completed after installing. This picture (http://i.imgur.com/Oc3SyBi.jpg) gives a really good idea at what the board should look like. 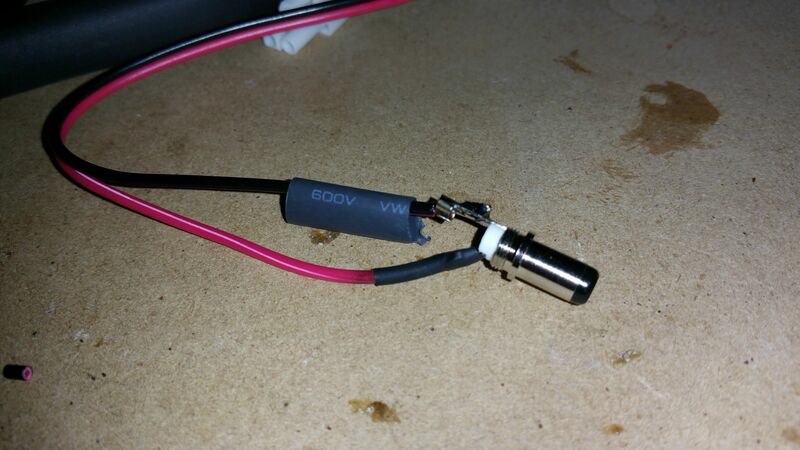 The speaker wiring is very easy, just wire their leads to the output points of the left and right amp. The black wire heading off the bottom of the board is the 7.4V ground line I mentioned above while the red wire that heads out from the top of the board out through the hole for the power switch is the 7.4V positive line. Just typing this out has made me realize that I should probably do some sort of instructions set for this, my build technique was slightly confused and could benefit for some elaboration. However, good instructions take time and I'm not sure where I'm going to find said time. I hope the paragraph above was helpful. If anything needs for explanation feel free to ask. Hey, this is truly awesome! 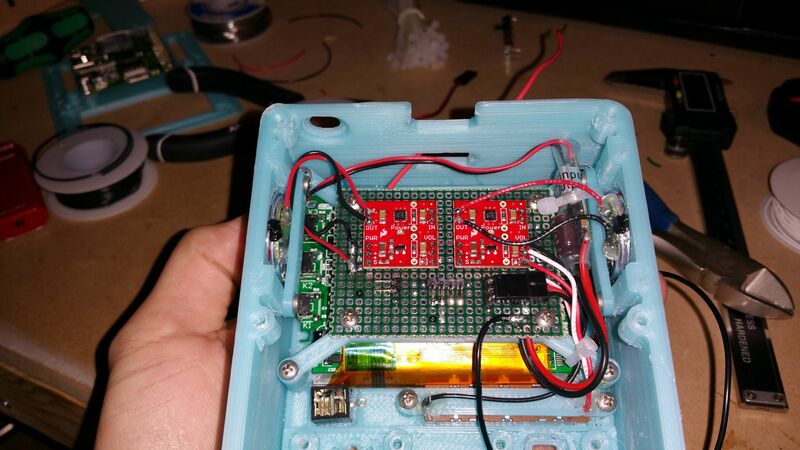 My buddy and I were looking to make this but he has no experience with 3D printing (I do) and I got no experience with circuits (he does) (as a team, I think we should be able to do this!) Still, just to be sure, we are probably going to want work with a complete blueprint. Should what's posted here be enough to work with, or should we wait a little longer for this to be fully comprehensive? Kudos again for making this (it's so amazing and cute!) and for being nice enough to share it. Can't wait to give it a try. That's awesome to hear that you want to build one! Just the other day I uploaded the schematics for the routing board which was, in my opinion, the last confusing piece that needed documenting. With the schematics I've uploaded as well as the huge build album on Imgur I'd say you have about 95% of what you need to complete this. The only other documents I'd like to add in the future would be a flow-chart/diagram of the system as a whole just to give an idea of how everything come together. Again, this information should already be available in what I've uploaded but I'd like to add a summary. I'd say you guys are probably ready to start, if your friend has electronics experience then he probably has more knowledge than I did going into this :P There is nothing too outlandish going on inside this project. I think the most trouble you may run into is trying to get all the wiring together properly. I really can only help with that so much as I did the wiring for mine by the seat of my pants. My best advice would be to go through what I've uploaded (schematics and pics) and make sure you both understand exactly what's going on inside the case. From there it shouldn't be too much trouble to work out the little details yourselves. Also don't hesitate to ask any questions if problems arise. Good luck with the project! Can't wait to see how it turn out! Is it possible if this could be modified into a game boy with 4 shoulder buttons on the back a analog stick aswell as dpad and maybe put some USB ports on the side, the SD card slot and headphone jack and not as wide? I'm not sure to be honest. Space is already pretty limited in the design as it is. That being said you are more than welcome to try and I'd love to see how it comes out. Yo this is super sick dude, I'm planning to make a modified version of this with the B+ raspberry pi and with a 64GB ssd hdd mostly so that it kind of doubles up as a kind of small desktop (especially when Windows 10 comes out for the pi) which will be useful for me. Looking through your gallery of the construction has really helped me plan out the layout of the whole thing :D, I really hope though that you'l be able to get the wiring for the audio and stuff out. Super nice work! Ordered all parts. Got my pi yesterday and plan on loading RetroPie as my next step while I wait for parts to roll in. I have watched the vids and read your schematics. At this point I think my main questions are around video hookup, power hookup, switch wiring and the optional distribution board that was mentioned. Eagerly awaiting any additional documentation or photos you can provide. Heh, you're basically asking for all the documents I haven't finished :P I apologize for not getting them out sooner, I've gotten lazy on projects after finished this one. I'll try to push out another portion of the schematics asap. I'm guessing the wiring for the A+ as well as the distribution board would be most useful. P.S. There is one aspect of the setup that I haven't mentioned yet. It relates to the limitations of the A+ due to it only having one USB and no Ethernet. To set up directly on the A+ you're going to have to use the Retropie image supplied from their site as the lack of Ethernet means that downloading Retropie directly onto the A+ is out (unless you use a wifi dongle, see below). Also you will need a usb splitter. This is so you can connect both a keyboard as well as the custom controller up to the Pi for setup purposes. I should note that a 4 way USB splitter may allow you to use a wifi dongle and do a online Retropie install. Just FYI, during my build I had an old Model B that I used to set everything up (using a micro SD card adapter) before transferring the Micro SD card to the A+. This may be easier than the usb splitter approach but they should both work just fine. I have mine up and running (sort of). Control board, screen and Pi are installed and running off of a 7.4v wall power supply. I haven't gotten to building the distribution board or done anything with sound yet. Anything you could provide, however rudimentary, would help. I thought of wiring it based on your photos but that seems too risky to me. It boots up and goes into emulationstation, at which point it says that there is a game controller connected and to press and hold a button to set it up. When I hold a button it does nothing. Only option at that point is to F4 out. Is that the default state since I haven't yet found and installed any ROMS or might that indicate a problem with the controller board? Hi, awesome to hear that your build is coming along well. I want to check in to make sure you know I didn't miss your message. I've started the schematic for the distribution board and should have it uploaded in a day or two. As far as the controller is concerned I have a two thoughts. First, have you tried the Teensy controller connected to your PC to make sure the buttons are working correctly? Go to 'Devices and Printers' on windows and check to see if the controller is recognized. Afterward you can check the controllers properties to see if the buttons are responding. Second, have you registered and set up your controller in Retropie? To do this I'm adding a link in the instructions section to the video I followed to set up my controller. Thank you. Those docs should get me the rest of the way through. I went ahead and re-flashed the teensy today. I used USB Type "Keyboard + Mouse + Joystick" (there is no option with just joystick). I then loaded your .ino code. When I went to test in the windows game controller panel, I found that only the A,B,X,Y work. The other buttons don't seem to be recognized. When I went into RetroArch setup, it picked up the same buttons recognized in the windows panel. I have re-checked my wiring and everything looks good. Any advice here? Update: Just ordered another Teensy 2.0. I am going to flash it and test it right out of the box before doing any soldering. Received 2nd Teensy and it is exhibiting the same behavior as the first one. Only the pins on one side of both Teensies are responding when testing using Windows "Set up USB Game Controllers". I flashed the Teenies using your .INO file and USB Type "Keyboard + Mouse + Joystick"
Looks like perhaps a code issue? I will dig into it and see what I can find, but if anything comes to mind please let me know. Ok. Resolved the Teensy problem... Had to simply add additional code to accommodate the other buttons. Hey, great to hear you worked out the issue. Sorry I didn't have a chance to respond. How is the project coming along? Was wondering if you think there might be any issues if I used a Raspi B+ (happen to already have one lying around). There was a point during my build where my A+ wouldn't work and I considered switching to a B+. After looking over the design I determined that the only way a full size B+ was going to fit in the case would be if it were laid in horizontally. Going vertically like the current A+ orientation would lead to interference with the battery. Also it would leave no room for speakers so they'd have to go. On top of all of this I believe the shell would have to be modified to fit the double-decker USB ports and Ethernet. What I'm trying to say is that while I don't think it would be impossible I believe you'd have to heavily modify the design to incorporate a B+. That's what I needed to know! Sounds like the A+ is the way to go for the first round. Forgive me if this is a noob question... I am acquiring parts and have a question about the header cables and header pins. You specify Male and Female for both. I am seeing header pins of various configurations, variable by number of pins, pin spacing, length of pins, etc. Do you have a breakdown of how many of each type, (How many N pin male, N pin female, etc.)? Can you buy Also, what length and quantity of the header cables for each male and female, and are these the single-wire header cables or multi-wire cables? There appears to be a great deal of variability in the price of these and I don't want to buy the wrong thing, or much more than I'll need. How many corner brackets needed? Oh shoulder brackets, you need 2 of them. My bed temp for the shell was 60 C using PLA filament. Are you trying the shell model with the added tabs? I used that one because the tabs helped mitigate the curling. The base shell part curled and failed on me twice. I uploaded it anyway because everyone's printer is different and many would probably have no issue with the base shell part. So again, try the shell with tabs, they should help with the curling. Even with the tabs extruding out the sizes I can't get it to not curl. Should I use a ready on the shell with tabs? I don't know if it will help, but I'm using the sky blue PLA on a Wanhoa Duplicator 4S. I have my bed temp at -13°K (60°C) and it curls still. The shell does use up a lot of material, so I just want to get it right, especially since its for a customer. Ok from the looks of it we are getting into issues relating to specific printers. I am not a 3D printer expert, its a miracle mine still runs. However, I'll try to help where I can. I don't know much about the Wanhoa Duplicator but I can tell you that for my prints, using the Sky Blue JET PLA, I have the nozzle set to 180 C and the bed to 60 C. Also, and I find this very important for my printer, I do NOT use a fan to cool the PLA on larger prints. On small prints a fan is necessary due to heat build up in the part, however, for a print the size of the BMO shell the nozzle travels enough to allow heat to dissipate adequately. The only thing the fan does in this case is cool the sections of the print nearest to it more than those further away causing a temperature differential and thus warping. So to reiterate; 180 C nozzle, 60 C bed and no fan to cool the print. Let me know if this helps at all. Good luck! Thanks a bunch I think that will help alot, and so an printing now, I'm hoping you are referring to the secondary fans being turned off instead of the primary (heat sync) fans am I right? Again not an expert on your printer but I'm assuming the secondary fans if their purpose is to cool the part being printed. Not sure exactly what part you're referencing, could you elaborate. Hi, this is a really great project, good job! I'm planning to do one too and to add servos for the arms and legs, by any chance, did you made the parts in solidworks? Could you share them? At least the shell, it's hard to edit from stl files. Thanks! Glad you liked it. Yes, as a matter of fact I did use Solidworks. I'm actually glad you asked for the .sldprt files because I had planned on uploading them but sorta slacked off. Given the fact that certain sections of this build may go differently for different people I think it would be a great idea to have a file set that anyone can edit themselves (might be good to add STEP files as well). I'll put up a zip file with the Solidworks models in the next day or two. Hey I just added zip files for both solidworks parts and STEP files. Hope this helps! That sounds awesome! Can't wait to see it. Hi! It looks like there are duplicate parts in this file. For example, I see "action buttons" and then each button is listed as a separate file. There's also a shell and a shell with tabs. Can you please clearly state which pieces are needed at a minimum? Sorry about the confusion.You only need one set of buttons. I provided a plate of the four action buttons for those that wanted to print them all in one color and maybe paint them separately (or for those that have a multi-nozzle printer O_o). I also provided individual models of each button for people like myself who want to print the buttons separately in different filament colors. As for the shell, again only one needed. I added optional tabs to the model because during my first attempt at printing the shell the corners of the print began to curl. The tabs should hopefully mitigate that. They have to be removed and sanded down afterward. If you don't think they are necessary then print the plain shell without tabs. I'll update the bill of material to explain this all out. Hope that helps! Hi, what kind of plastic did you use to make the 3D printed parts? what was you total cost of additional materials. Screen, battery etc ? I'm not finished, but I've begun a make of this project. All in, I got the parts on the Bill of Material for under $200. I don't recall the exact total b/c I had to order from a few sources. God I made an account just to learn how to make this. I'll be patiently waiting for some instructions dude! This looks amazing! My friend and i are planning to build one of our own, but we are kinda new to programming and wiring things up. If you don't mind, can give a tutorial on how to make one of this? awesome work man. Glad to hear that you wanna try this project out! I'm trying to move as quickly as possible with schematics/instructions. Check back in the next few days/weeks and I should have some schematics and instructions to follow. Haha well the very least I can do to make it up to you is answer any questions you may have along the way. In all seriousness though I'm glad your kids enjoyed the project! When you get underway with the build let me know and we can compare notes. As I mentioned in a comment below I'm planning on making the schematics over the weekend so there will be more/better instructions to follow. Awesome project, and thanks for working so hard to help the rest of us along. I'm partway through a build of this, and I've run into some confusion on the controller wiring. I've got the Teensy 2.0 and the buttons soldered onto the board, but I trimmed the tails of the buttons. Looking at your pics, it seems that you used the tails to wire the buttons to each other? I'm not sure how to wire this up, just wondering if you have written this part out yet. Also your list says 24 AWG wire and 30 AWG wire - is there a time to use one vs. the other? They have different resistances. Awesome to hear that you're working on one of your own. If you have some in process pics I'd love to see them! As far as the controller wiring is concerned you haven't done anything wrong, it mostly comes down to my instructions being unclear. If you look at the schematic for the controller you'll see that all the buttons share a common ground with the Teensy. The other side of each button is attached to a signal pin on the Teensy so that when a button is pressed that pin on the Teensy is shorted to ground which the Teensy then reads as a button press. As long as you wire your board to the schematic you will be fine. For my build I bent some of the button tails over and soldered them together to connect the grounds. This can just as easily be accomplished with some buss wire but could take some extra time cutting and stripping wire. As far as wire gauge is concerned, for the Teensy it doesn't really matter. The current carried in those signal pins is so low that 30 AWG works just fine. The biggest concern is space. I used 30 AWG wire for the signal pins so as to not clutter up the board with too much thick wire. I used 24 AWG black wire for any ground connections just so they could be more easily differentiated. Just be sure to not add wire over any of the mounting holes and try to keep the button side of the board as clear of wire as possible (this is the side that faces down when mounting, too much wire on this side could potentially interfere with the controller mounting points). I hope this helps. I'm still working on more schematics for this system but if you get ahead of my instructions feel free to ask for advice. Hope the build goes well and excited to potentially see some early pics. Good luck! Would you ever make one to sell? Sadly no, there's too much involved with a project like this to justify selling it. It's definitely a worthy DIY project though! This is so fantastic! I'm planning on making this myself, but I'm a bit of a novice as far as programming goes. Really looking forward to the detailed instructions. Keep up the good work! I just ordered all the parts for this online. Hopefully you can put together some detailed instructions or at least some high resolution pics showing how everything is hooked up. I would gladly make a YouTube video showing the build process if I could get instructions. Awesome to hear! I think I can throw together the schematics this weekend. Good instructions will probably come at a slower pace but I would be glad to answer any questions that come up in the meantime. Since you may be the first person that is going to tackle this project I think it may be a good idea to compare notes as you progress and develop the instructions accordingly. I would really like to get an outside perspective on this project and any improvements you could offer would be greatly appreciated. May I ask where I can get the fan mount you have on your MF i3? I would happy part with money for one of these! Well done. this is brilliant! may I ask where you got the filament color? Thank you! Ok I had to hunt through my purchases over the last few months so this may be slightly off but I believe the brand is JET PLA from American Instrument and the color i purchased was 'sky blue'. another amazing project. Have to pencil this in for late March. Thanks for contributing! !